[S207] 1910 US Census, Ward 3, Keene, Cheshire, New Hampshire. [S232] Ancestry.com, cptxaggiex Paire/Rampey Tree. [S231] 1930 US Census, New Hampshire, Cheshire, Keene. [S106] Maine Families in 1790, Vol. 10 p. 122. [S205] Newspaper, Bangor Daily Whig & Courier (Bangor, ME) Monday, January 08, 1866. [S130] Massachusetts Vital Records, Vol: 157 ; Page: 326. [S232] Ancestry.com, Gardiner, Kennebec County Maine, Birth & Death records 1800 - 1892. [S392] Website findagrave.com (http://www.findagrave.com/) "# 93919420." [S392] Website findagrave.com (http://www.findagrave.com/) "# 60231927." [S205] Newspaper, Maine Cultivator and Hallowell Gazette (Hallowell, ME) Saturday, April 27, 1844; transcribed by FoFG mz. He was Shreveport's first mayor. Whilst in office, he was killed in a duel by John Willson. The encounter took place on January 6, 1840, across the line in Elysian Fields,Texas, supposedly over a liquor ordinance but probably over an affair with Willson's wife. Joiner, G.D., Wicked Shreveport. [S153] Charles Nelson Sinnett, Sinnett's Sewall genealogy, p.19. [S205] Newspaper, Boston Courier, (Boston, MA) Monday, March 16, 1840. Prof. John Smith Sewall was born on 20 March 1830 in Newcastle, Maine.2 He was the son of Rev. Jotham Sewall and Rachel Crosby Bradbury.1 In 1850, John Smith Sewall graduated from Bowdoin College, Portland, Maine. To pay off college debts, he enlisted in the United States Navy. After basic training, the Navy assigned him to the USS Saratoga as a captain's clerk. Sewall wrote that sea duty meant "two years of waltzing to and fro and flitting up and down the coast" making stops in Manila, the Madjicosima Islands, Macao, Hong Kong, and Shanghai. The Saratoga joined the East Asia Squadron and followed Commodore Perry to Japan in 1853-54, as one of the infamous "Black Ships." Several years after returning to the United States, Sewall was ordained a Congregational minister. In 1859, he was appointed pastor in Wenham, Massachusetts, where he stayed until 1867. Sewall continued to serve the U.S. military as Chaplain to the 8th Massachusetts Regiment in the Civil War. In the late 1860s, Sewall pursued a career in academia. From 1875 to 1903, he was a professor at his alma mater, Bowdoin. He finished his career at Bangor Theological Seminary as a professor of Homiletics, the art of preaching. [S89] Family Search, Town and vital records, 1772-1890 Winthrop (Maine). Town Clerk. [S130] Massachusetts Vital Records, Vol: 62 ; Page: 340. [S208] 1900 US Census, Melrose Ward 3, Middlesex, Massachusetts. [S130] Massachusetts Vital Records, Vol: 47 ; Page: 100. [S130] Massachusetts Vital Records, Vol: 74 ; Page: 52. Lt. Col. John Wright Sewall was born on 22 October 1900 in Lake County, Minnesota.2 He was the son of Dr. Ralph Justin Sewall and Florence G. Wright.3 Lt. Col. John Wright Sewall married Eleanor Louise Putnam, daughter of Frank H. Putnam and Maude L. Pickthall, on 20 September 1927 in St. Thomas Episcopal Church, Hollywood, Los Angeles, California.1 Lt. Col. John Wright Sewall was killed on 15 December 1944 in Subic Bay, Luzon, Philippines, at the age of 44, on the unmarked POW transport ship Oryoku Maru. [S232] Ancestry.com, Select Military Registers, 1862-1985 for John W Sewall. National Guard 1927. [S206] 1920 US Census, Cartago, Inyo, California. Jonathan Sewall was baptised on 28 May 1727 at Brattle Street, Boston.2 He was the son of Jonathan/1 Sewall and Mary Payne.1 Jonathan Sewall died before May 1728. [S25] Samuel Sewall, Diary of Samuel Sewall (1973 ed. ), p. 1081. Jonathan Sewall was baptised on 11 August 1728.1 He was the son of Jonathan/1 Sewall and Mary Payne1 and died soon after. Sewall studied law under Judge John Pickering of Portsmouth. He is reputed to have been "an extremely modest man", and many of his writings were printed anonymously. Principal among these anonymous productions are a Fourth of July oration, delivered in Portsmouth in 1788, and later printed at the request of the citizens (this was the first Independence Day oration delivered at Portsmouth); and The Versification of Washington Farewell Address, published in 1798. He wrote many epigrams, epilogues, and poems of a political cast, besides his patriotic lyrics. He also wrote paraphrases of Ossian and an Eulogy on George Washington, delivered at St. John's Church, Portsmouth, Dec. 31, 1799. His Miscellaneous Poems with Specimens from the Author's Manuscript Version of the Poems of Ossian, was published in 1801. He was a noted wit and much sought after for his social qualities. It is said that his last years were darkened by intemperance. In politics he was a federalist. Nothing can be learned of his immediate family, except that a daughter survived him. It is said that his talents became eclipsed and his days shortened by an appetite for drink. Jonathan Mitchell Sewall, "Gen. Washington: a new favourite song, at the American camp: To the tune of the British grenadiers" (United States: s.n., 1776?) (1 sheet) ("A New song: to the tune of "British grenadiers." Boston: Sold (by Thomas and John Fleet) at the Bible and Heart in Cornhill, (1776)) (1 broadside)("A favorite song at the Columbian Camp, in the late glorious and victorious struggle for liberty," Printed and sold at the Printing Office in Salem: by Ezekiel Russell, 1776) (broadside). [S365] Eben Graves, The descendants of Henry Sewall. Vol. II (Unpublished), p. 218. [S205] Newspaper, Dover Gazette & Strafford Advertiser, (Dover, NH) Tuesday, March 30, 1830. [S355] 1790 US Cenus, Portsmouth, Rockingham, New Hampshire. [S392] Website findagrave.com (http://www.findagrave.com/) "# 153819934." [S365] Eben Graves, The descendants of Henry Sewall. Vol. II (Unpublished), p. 221. [S365] Eben Graves, The descendants of Henry Sewall. Vol. II (Unpublished), p. 220. [S365] Eben Graves, The descendants of Henry Sewall. Vol. II (Unpublished), p. 343. [S102] Annie Haven Thwing, Inhabitants of the Town of Boston, 2019. [S130] Massachusetts Vital Records, Massachusetts Vital Records to 1850. Salem birth, p. 275. [S205] Newspaper, New England Weekly Journal, 22 November 1731. [S3] Nina Moore Tiffany, Samuel E. Sewell: a memoir, p.9. [S392] Website findagrave.com (http://www.findagrave.com/) "# 63783980." Joseph Sewall was born on 17 December 1770 in Bath, Maine.2,3 He was the son of Colonel Dummer Sewall and Mary Dunning.1 Joseph Sewall was baptised on 7 July 1771.2 He was a carpenter and builder in his early life and then engaged as an owner and builder in navigation at Hunnewell's Point, Maine which is now Popham Beach, where he resided for several years. He occupied what is known as the " White House", a conspicuous building, which was always painted white. He was a man of magisterial prominence, presiding at town meetings, and was a ready speaker. In 1816 he removed to Farmington, Maine where the remainder of his life was spent in farming. "He was a gentleman of the Old School, of a strong personality, and of great integrity of character, traits which were prominent in all the Sewalls." A contract for the removal of Joseph Sewall to Farmington, reads "Farmington, Maine, April 23, 1816. This day Nathan Bacchus and Joseph Sewall agree that the said Nathan shall convey in his stagecoach the family of the said Joseph Sewall, consisting of three grown females, and three children together with 250 pounds of baggage from Hallowell, Maine to Farmington, Maine via the house of Elizabeth Luce, for the sum of nine dollars. The said Sewall shall be with his family at Hallowell Maine as soon as may be after the first Monday of May, next, and the said Nathan shall take him there as aforesaid on the Saturday morning following." Joseph Sewall cleared his farm at Farmington and erected good buildings thereon. [S153] Charles Nelson Sinnett, Sinnett's Sewall genealogy, p. 35. [S149] American Ancestors, , Letter of Marriages of Bath, Maine, 1805-1817. [S392] Website findagrave.com (http://www.findagrave.com/) "# 58441376." [S205] Newspaper, Bangor Daily Whig & Courier, (Bangor, ME) Tuesday, January 18, 1887. He attended Old Town schools; graduated from the Holderness School, Plymouth, N. H., in 1939, and Bowdoin College, class of 1943. Bowdoin awarded Sewall an Honorary DCL in 1980. His college career was interrupted in the summer of 1942 by training as an aerial navigator with the Air Transport Command. He flew many trips to the far Arctic and Greenland ferrying supplies and personnel. Given a direct commission into U.S. Naval Aviation in 1943, he continued flying the North Atlantic in Squadron VR-1 until his honorable discharge in 1946 as lieutenant junior grade. Returning to Old Town he joined the family firm in surveying and timberland management, where he served as president/CEO until 1996 when he became chairman until his retirement in 2002. The James W. Sewall Co. had about 10 employees in 1946 and had grown to 175 when Sewall retired. Drawing upon his experience as an aviator, Sewall moved the company from land-based surveying to using aircraft for aerial photography and surveying. He also established branch offices in Alaska, Canada and Ireland. Not content to focus solely upon business, Sewall spent 25 years in elective office - nine years on Old Town City Council and 16 as state senator for Penobscot County. He served as president of the Maine Senate from 1975 to 1982, four terms, the longest serving Republican senate president in Maine history. 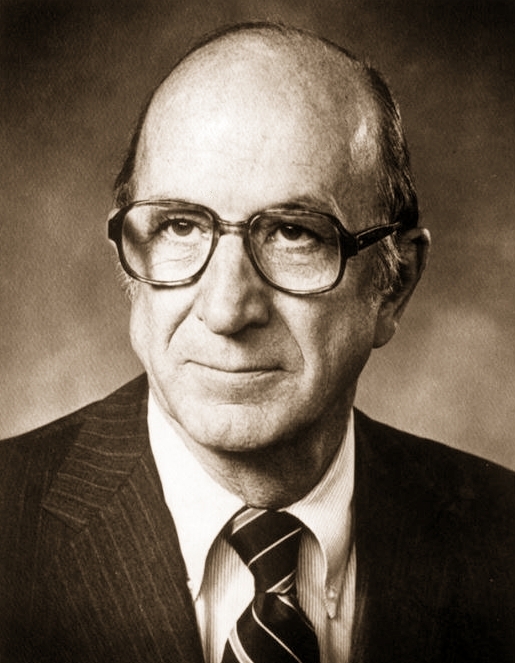 His colleagues in Augusta regarded Sewall as a gentleman and remarkable leader. Sewall served on the board of directors of J. H. Wyman Co., Fraser Paper, Katahdin Plywood, Merchants National Bank, Merrill Trust Co., Merrill Merchants Bank and for 30 years, Sugarloaf Mountain Corp. He was a former vestryman and senior warden of St. James Episcopal Church, Old Town; director of Old Town-Orono YMCA; trustee of Eastern Maine Medical Center; and trustee of the Maine Community Foundation and Castine Historical Society. President George H. W. Bush appointed him a commissioner of the Roosevelt Campobello International Park Commission. He was also appointed to the Merchant Marine and Defense Commission by Presidents Reagan and Bush. Sewall served on the board of Maine Maritime Academy for 20 years and as its chair for 16 years. He logged more than 10,000 hours as a pilot and navigator, holding commercial pilot licenses for multi-engine land and sea-planes, he was an accomplished bush and mapping pilot. An enthusiastic fly-fisherman, he built and operated Millbrook Farm on the Upsalquitch River, Robinsonville, New Brunswick, an Atlantic salmon camp. Being "in camp" with Sewall was ever a delight for the twinkle in his eye as he tightened his drag stimulating his chosen topic of conversation. Of his many friendships, none meant more to him than those built at Millbrook. Sewall was a member of Penobscot Valley Country Club, Castine Golf and Tennis Club, Center Harbor Yacht Club, the Tennis and Racquet Club of Boston, Upsalquitch Salmon Club and the Aero Club of New England. He was also a member of the Masons and Rotary International. Among many interests, Sewall was a golfer, tennis player, sailor, fly-fisherman, bird hunter and avid reader of 17th to 21st century history. Sewall was predeceased by his parents; wife, Hilda (Wheelwright); son, Joseph W; and four siblings. He is survived by son, David T; daughter, Abigail; granddaughter, Elizabeth; sister, Elizabeth Gary; cousin, Louise Moody; nephew, James Page; great-nieces, Alexandra and Hanna; former daughter-in-law, Elizabeth; as well as his dear friend and companion, Meredith K. Hashey. Bangor Daily News, December 2, 2011. [S468] Wikipedia, online http://en.wikipedia.org, Joseph Sewall. [S25] Samuel Sewall, Diary of Samuel Sewall (1973 ed. ), p. 1088. [S595] James Kerr Sewall, Clement Sewall, p. 8. [S392] Website findagrave.com (http://www.findagrave.com/) "# 63783801." [S364] Eben Graves, The descendants of Henry Sewall. Vol. II (Unpublished), #131. [S392] Website findagrave.com (http://www.findagrave.com/) "# 63789745." [S392] Website findagrave.com (http://www.findagrave.com/) "# 63063278." [S102] Annie Haven Thwing, Inhabitants of the Town of Boston, 54160. [S205] Newspaper, Mass Gazette. 3 Oct 1788.